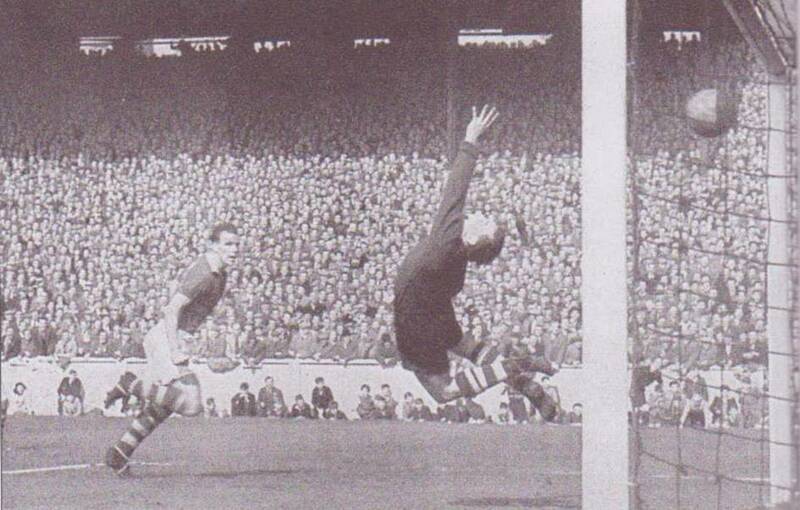 Date: Saturday, 21st April 1956. Scorers: Leeds United: Charles, Overfield. 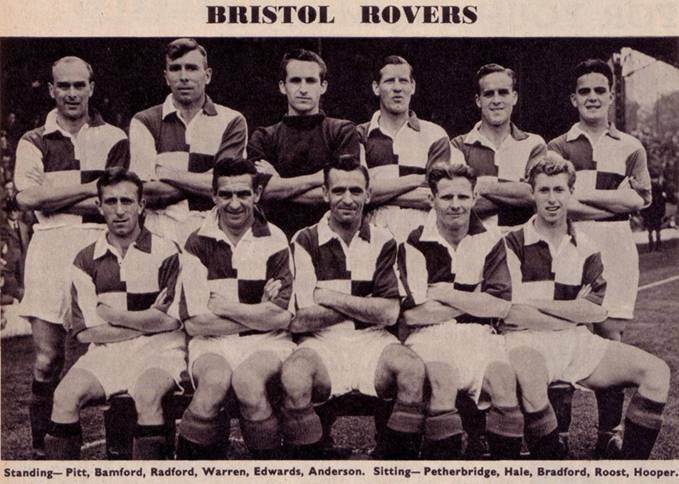 Bristol Rovers: Ward. 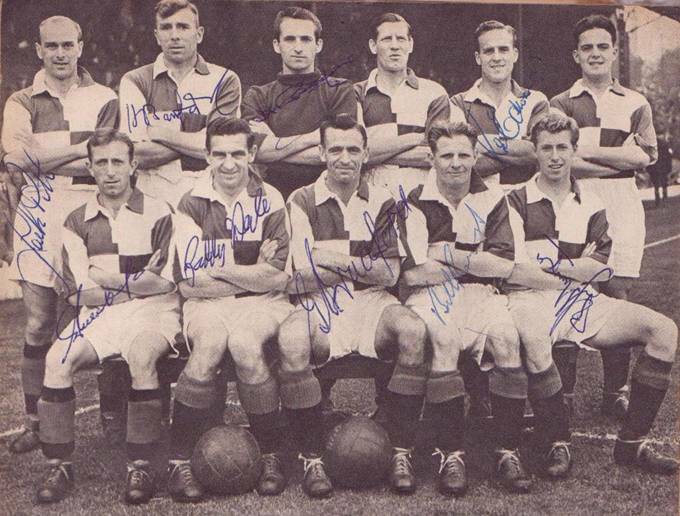 Leeds United: Wood; Dunn, Hair; Ripley, Charlton, Kerfoot; Meek, Charles, Brook, Nightingale, Overfield. United had had an indifferent season being very strong at home and very weak away from Elland Road. They had gone through the season with an almost perfect home record and when Blackburn Rovers came to Leeds in March and left with full points it seemed United had bid farewell to any notions of promotion. 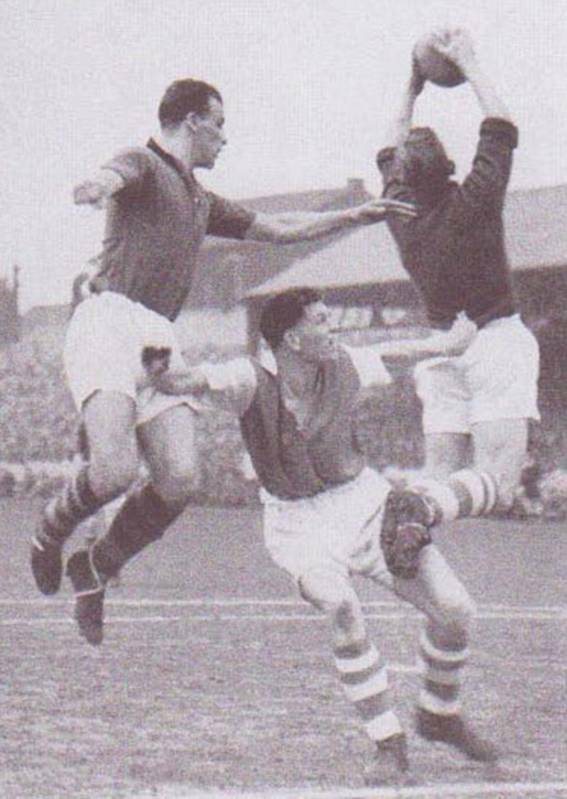 However, the players responded brilliantly, beating Plymouth at home and then won a rare away victory at Fulham, but a loss away to Nottingham Forest the following day seemed to have again shattered their chances. Amazingly United stormed through their final fixtures with six successive wins to finish runners-up to Sheffield Wednesday with fifty-two points, three behind the leaders but four more than the chasing pack. 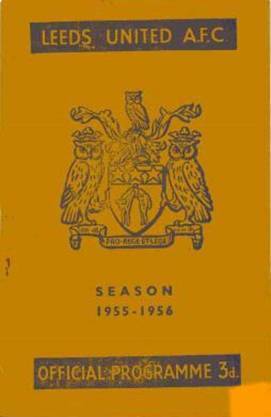 Excitement had reached fever-pitch when promotion rivals Bristol Rovers visited Elland Road for the last home game of the season, with only away trips to Rotherham United and Hull City remaining. 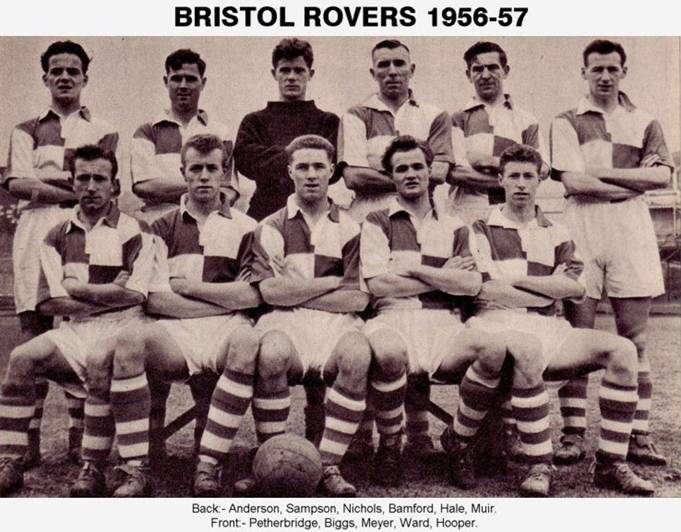 Bristol Rovers, managed by Bert Tann, were a fine side and been up with the leaders the entire season. 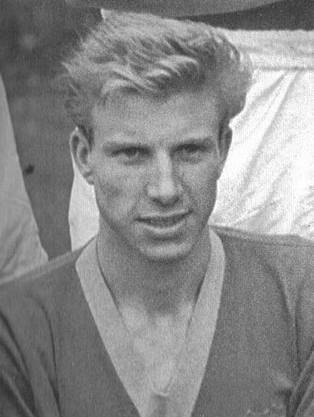 Their usual team was Howard Radford; Harry Bamford, Jim Anderson; Jack Pitt, Ray Warren, Ken Edwards; George Petherbridge, Dai Ward/Paddy Hale, Geoff Bradford, Bill Roost, Peter Hooper. Not many star names, as individuals, but a well balanced team. The fans came to see the showdown and the ground was so full that children were allowed to sit in front of the walls surrounding the pitch as a safety precaution. 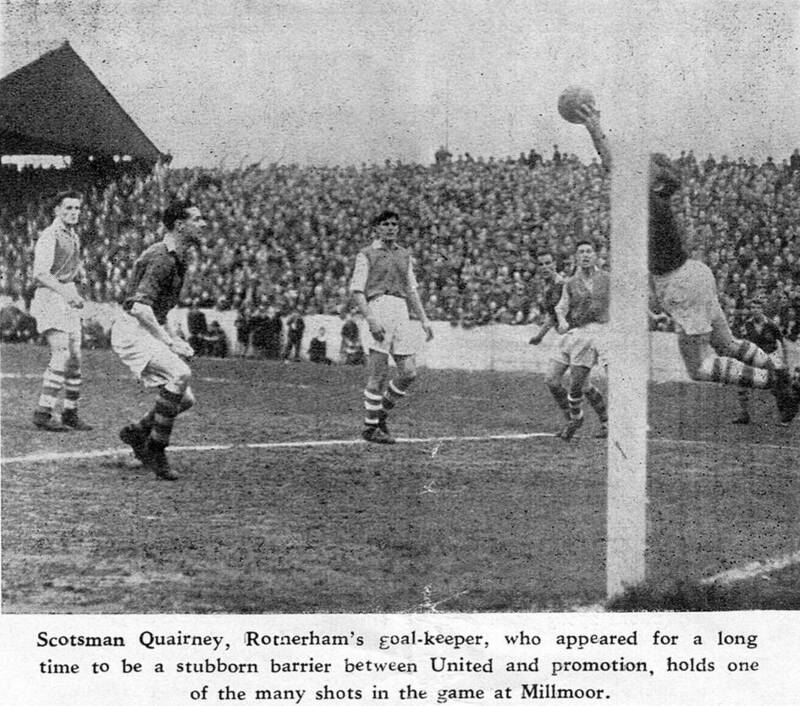 In front of a 49,274 crowd, Rovers arrived with a two point advantage, but United had a game in hand. 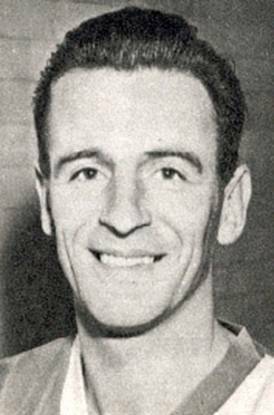 Dai Ward stunned the home crowd by giving the visitors the lead after only three minutes, but a classic John Charles header restored parity after 17 minutes. Ten minutes later the rampant Charles supplied Jackie Overfield, for the local boy to slam the winner off the underside of the bar. This moved United into second place on goal average. 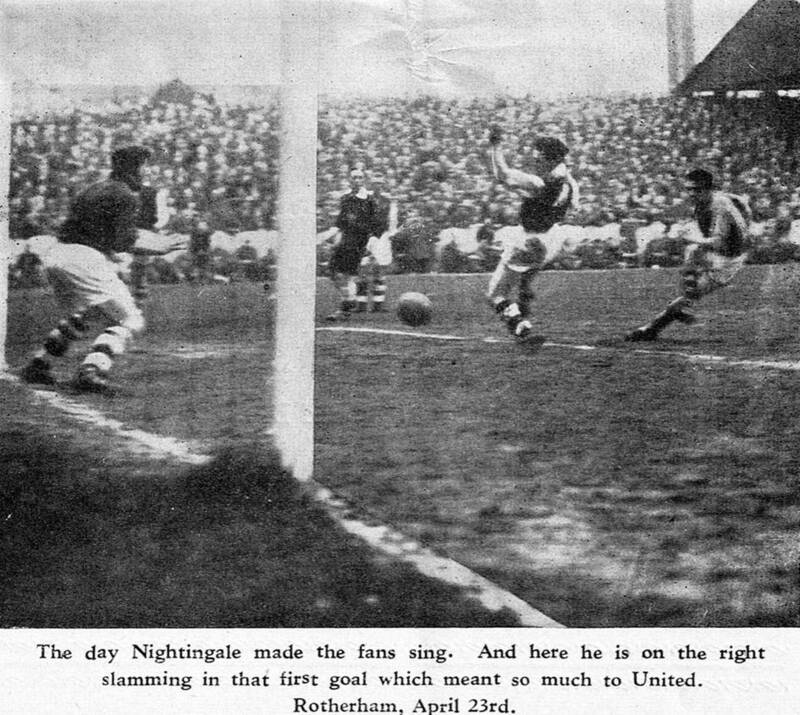 Two days later United made the short trip to Millmoor where an Albert Nightingale brace won the game against Rotherham United. Now a draw at Hull City would ensure promotion. Les Edwards (3), Jim Anderson (6). 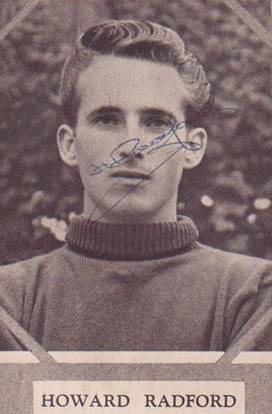 Bill Roost (8), Peter Hooper (11).